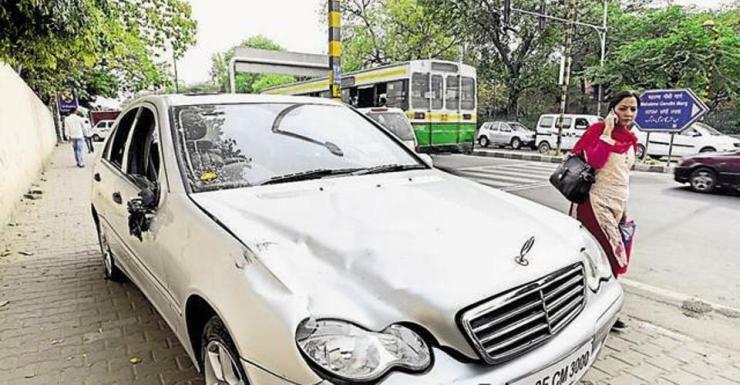 Last year, on the 5th of April, a 17 year old Delhi teen mowed down a 32 year old IT professional – Siddharth Sharma – who was attempting to cross the road on the Civil Lines. The accused teenager, who was 4 days away from turning 18, was allegedly driving a Mercedes Benz C-Class luxury sedan at high speed, without a valid driving license. The case has taken another twist, with the parents of the then-teenager now chargesheeted by the Delhi police. The Mercedes, which crushed management student Siddharth Sharma to death, is jointly registered in the name of his parents. The father and mother are equally responsible for allowing the boy to take the car. So we have made them accused in the case. The father has been made an accused for concealing information and misguiding the course of investigation. Along with the parents, the family driver is also an accused for making contradictory statements in the court. Initially, the driver had said that he was the one who was driving the Mercedes at the time of the incident. But he later got scared by the wide media coverage and death of the victim and admitted that he was not driving the vehicle. This was supported by the eyewitnesses. 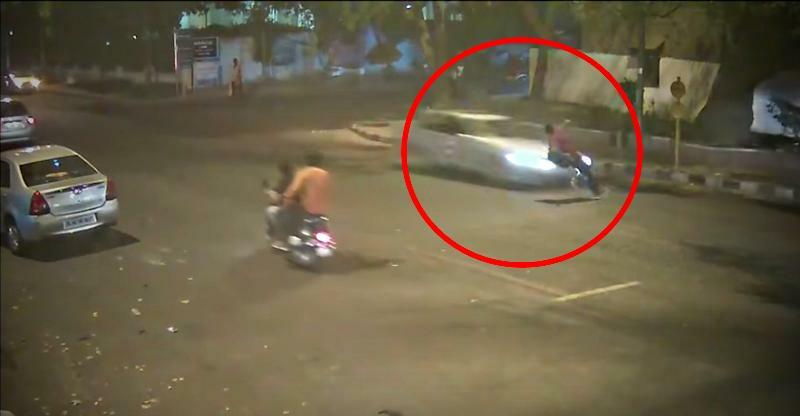 The parents and the family driver, who initially is said to have pretended to be driving the car while the accident happened, now face a host of serious charges under various sections of the Indian Penal Code, and the Motor Vehicles Act. If proven, these charges mean significant jail time for all the accused. Section 5/180 of motor vehicles act. Media reports state that the accused teenager had been driving around in multiple high end luxury cars without a license for about 3 years. Cars that he allegedly drove include a Honda City, a Mercedes Benz C-Class and even a Porsche. Delhi police, in their charge sheet, allege that the teenager was challaned for driving without a license even in the past, and that his father made no attempts to stop him from driving without license. The co-accused father runs a wedding card business. « Mahindra’s next: Bigger SUV for India (XUV700) revealed!